A couple of weekends ago, Nina and I drove a good hour to hit up a vegan pop-up brunch at a new-to-us bakery. It was a (pleasantly) hectic end to a productive weekend, and an opportunity to see our dear friend Kathy who has been busy getting not one, but two cookbooks wrapped up for publication this year – it was an Occasion. 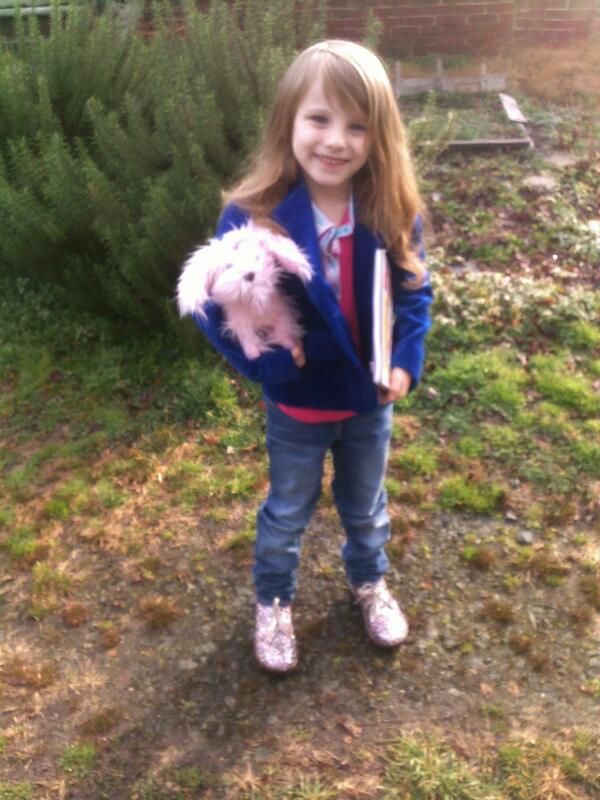 Specifically, a glitter-encrusted shoes and blue velvet blazer Occasion. 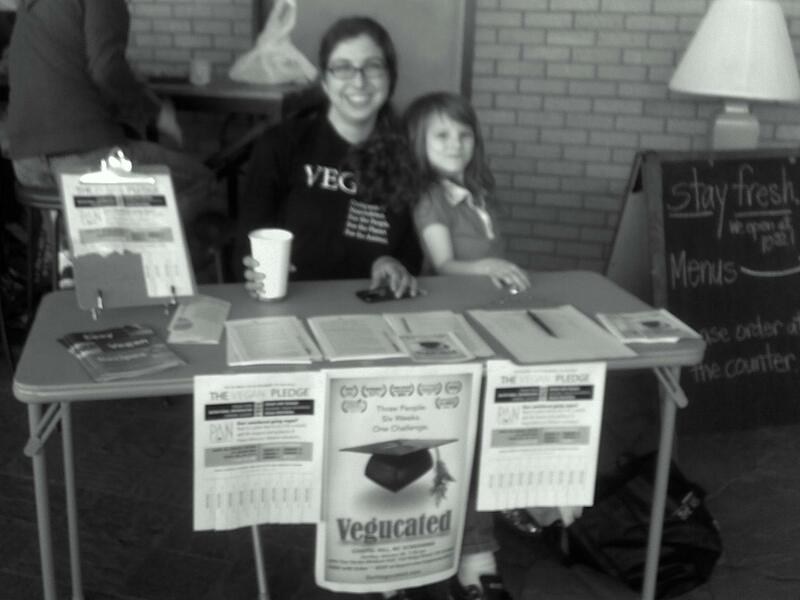 Our friend Christine was there signing people up for the 2013 Vegan Pledge. Naturally, Nina wanted to help out. This past weekend was also an occasion, a wonderful three-day laze-about-the-house affair. There were board games, hot cocoa, cast iron skillet Chicago style pizzas, and an accidental galette. 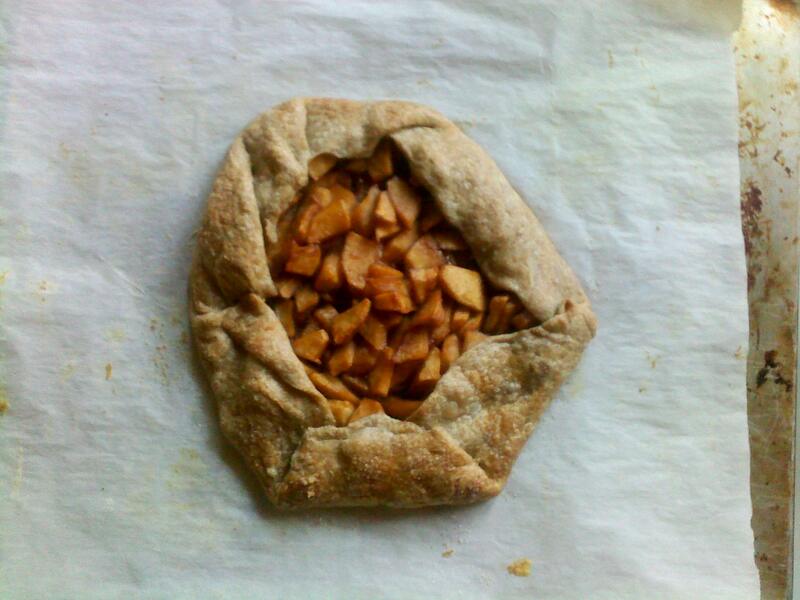 Apple cinnamon, with a flaky rye-spelt crust. I had every intention of sleeping in that morning, but it was not to be. Instead, Nina found out firsthand what happens when you wake me up before sunrise on an otherwise lazy Sunday; you get to roll out pastry dough. This dough recipe makes enough for two 9-inch galettes; the filling is for just one. Sift the dry ingredients into a large bowl, adding back any bits of grain or other ingredients that may remain in the sifter. Cut the butter into 1/2-inch pieces and add them to the dry mixture. Rub the butter between your fingers, breaking it into smaller bits. Continue rubbing it until the butter is in sizes ranging from peas to hazelnuts. The more quickly you do this, the more the butter will stay solid, which is important for the success of the recipe. Add the vinegar and 8 tablespoons of ice water to the flour mixture. Working from the outer edge of the flour, mix the ingredients with your hands just to moisten the flour. The dough needs to come together as mostly one lump, with a few shaggy pieces. Squeeze the dough together to see if a ball forms. 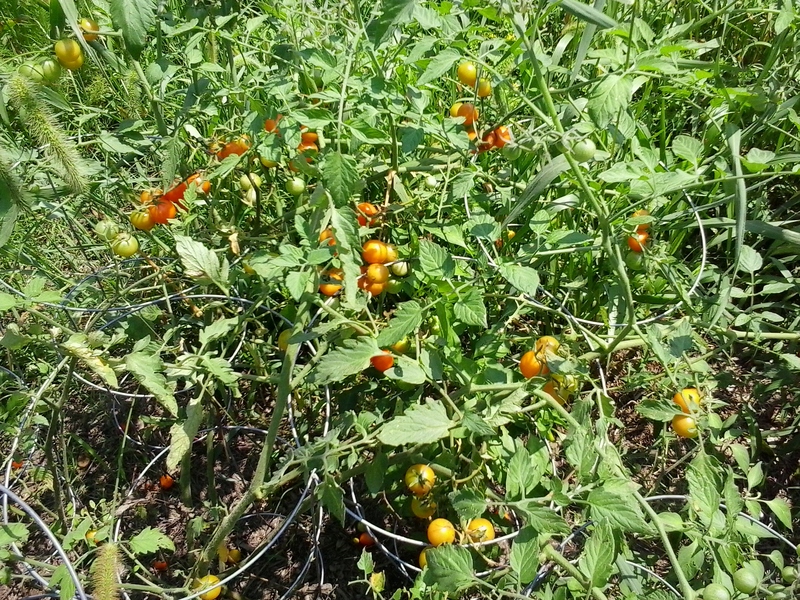 If it is too dry to come together, add additional ice water 1 tablespoon at a time. Pile the dough onto a sheet of plastic wrap, sprinkle a few drops of water over the top, wrap tightly, and chill for a minimum of 1 hour or overnight. Unwrap the dough onto a floured surface. Pat the dough into a square, then use a rolling pin to roll it into a rectangle about 8 1/2 by 11 inches. The dough will be crumbly and rough around the edges, but don’t add more flour or water, as it will come together during the rolling. For the first turn, fold the dough into thirds like a letter. The seam should be on the left side. Turn the dough so that the seam is at the top and parallel to your body. For the second turn, again roll the dough into an 8 1/2 x 11-inch rectangle and repeat the previous step. For the third turn, repeat the previous step, then wrap the dough in plastic and chill for 1 hour or up to 3 days before using. In a deep pot over medium heat, melt the coconut oil. Stir in 1/4 cup of sugar and the cinnamon; continue stirring until the mixture has thickened to syrup consistency, about 4-5 minutes. Add the apples and stir an additional 3-4 minutes. Remove from heat and set aside to cool while you prepare the dough. Cut the chilled rye dough into two pieces; wrap the piece you will not be using in plastic and return to the refrigerator to chill. On a lightly floured surface, shape the remaining portion of dough into a rough circle about 15 inches in diameter. Transfer to a baking sheet lined with parchment paper. 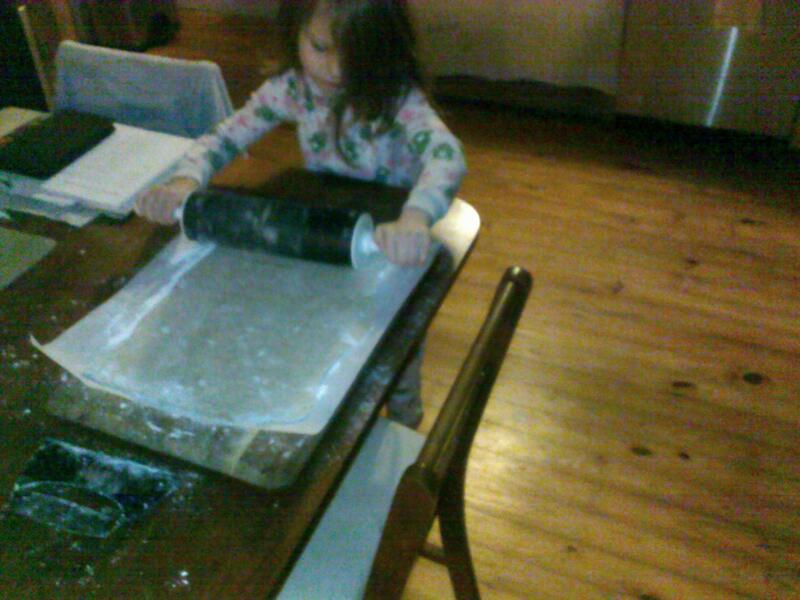 Or, if your dough is being rolled out by a six-year old, perhaps consider rolling it directly on the parchment paper (lightly floured, of course). Transfer the parchment and circle of dough, together, to the baking sheet. 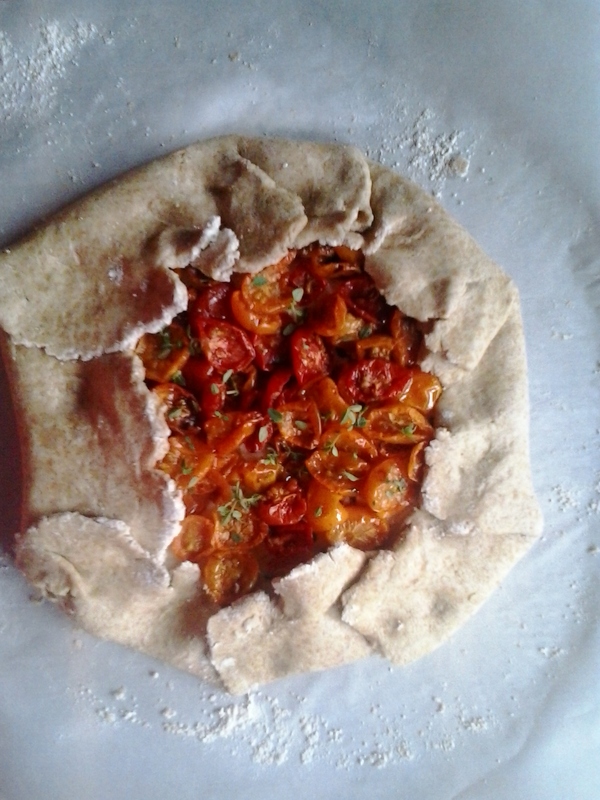 Using a slotted spoon, heap the apple pieces onto the middle of the dough circle. 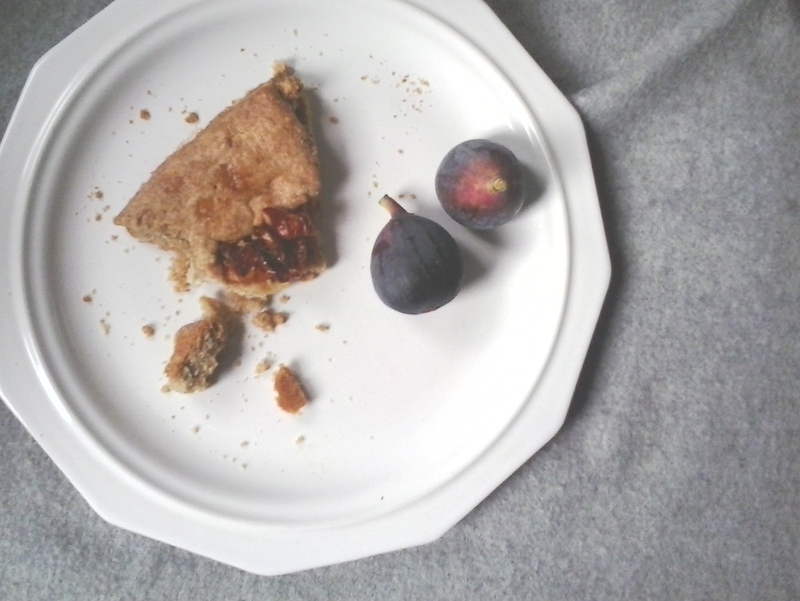 Fold an edge of the dough up toward the center to cover the fruit; about 3 inches of crust should be showing. Continue folding the edge of the dough toward the apples and over, creating folds; lightly pinch to seal as you go. Drizzle the syrup over the apple filling. (Unused syrup is fantastic on steel cut oats or ice cream.) Transfer the galette to the freezer for a minimum of 1 hour. At this point you could wrap the galette well and freeze for up to a month. If making more than one galette at a time, transfer this one to the freezer to chill while you prepare the next one. At this point, position a rack in the center and preheat oven to 350 F / 180 C.
Once the galette is chilled from the freezer and the oven is hot, brush water around the edge of the dough and sprinkle liberally with the remaining 2 turbinado sugar. Bake for about 50-60 minutes, turning the pan halfway through. The galette is ready when the crust is golden brown. Serve warm from the oven if possible; tastes best eaten the same day it is made.